Money Matters and So Do Your Dreams: Are You Prepared for Any Emergency? Is saving the same as investing? It can be yet it depends on your intent. Do you plan to spend this money in the next year or in retirement? Both actions appear the same. You tuck money away for a future event but what if something happens unexpectedly? These unexpected and unwanted events are emergencies. The question is, “Are you prepared for them? By not having emergency savings, you are forced to rely on credit. When you borrow money to cover unexpected expenses, the loan has to be paid back. At times, it may be necessary to borrow. However, if you don’t qualify for credit, then you’re stuck. This is not a “happy place” where anyone wants to be. Another downside is even if you qualify for the loan, the interest rate may be ridiculously high. Add interest to the cost of your unexpected event and the expense can be enormous. Using credit as your initial back-up plan only works until you build up your emergency savings. Generally, the minimum amount is three months of your monthly living expenses. However, a better safeguard is six months. I often hear, “It’s a shame to let the money just sit there” yet it isn’t sitting there. The money is waiting for that emergency. The fridge crashes; now you need to shop for a new one. The encounter with the deer on highway left you stranded without a vehicle. The fall off the ladder created additional medical-related expenses. The above emergencies appear minor in comparison to other tragedies. Being laid off from your job. An illness in the family which forces you or your spouse to take a leave of absence from work. An unexpected death in the family. If you’ve never had an emergency, then you may know friends and family who had one. What have you learned from their episode? Were they scrambling to borrow money to cover their needs? Were they unable to get credit and forced to rely on extended family for financial help? 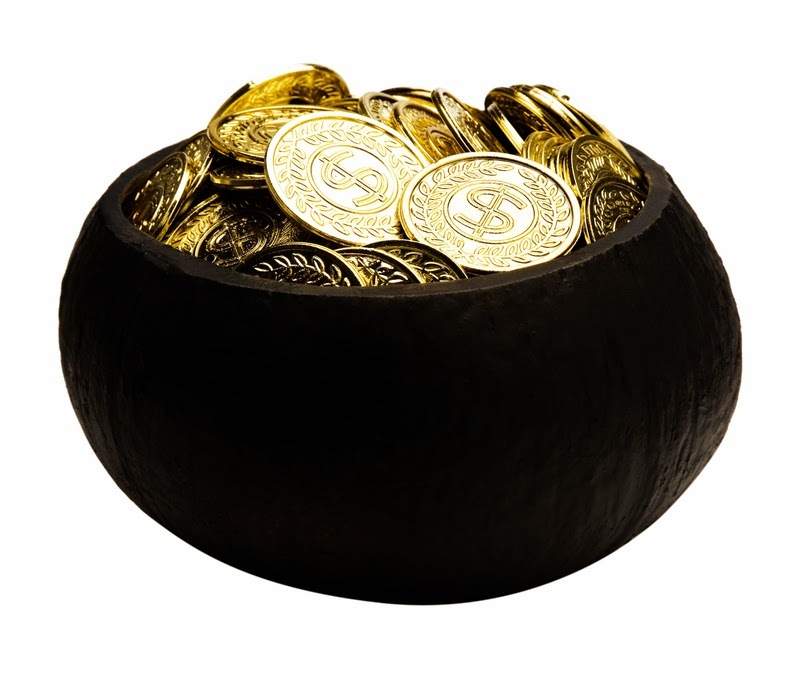 With so many reasons to save, start by determining your pots of gold. Multiple pots are required because you have multiple intentions: emergency savings, planned spending, yearly expenses (i.e. Christmas, insurance, property taxes); and then the elusive future savings for children’s education and retirement. Our focus now is strictly on emergency savings. 1. 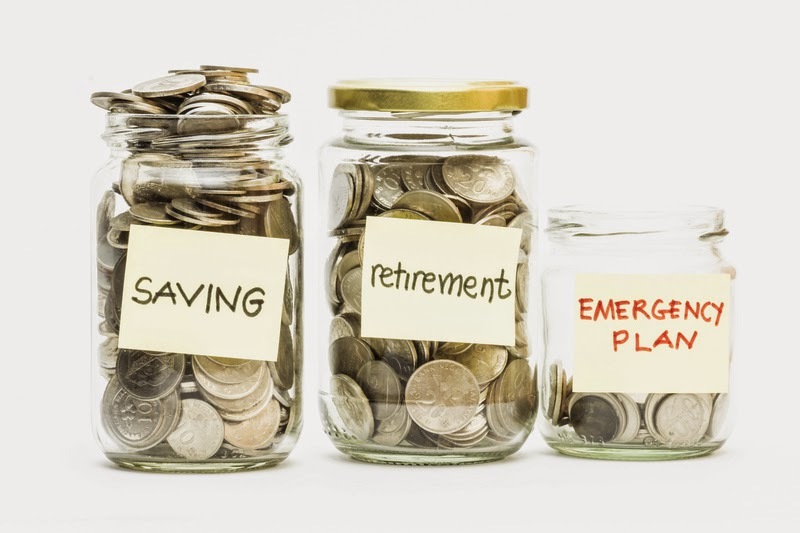 If you are a disciplined saver, your emergency savings can be mingled with savings for other purposes in one account. For example, once you establish the first $5,000, this amount is ear-marked as emergency savings. Any savings above this is for other goals. Once you establish your threshold, the plan is to never spend any of this emergency amount for any other purpose than an emergency. To build your emergency savings, you must first determine how much you need to save. Start by adding your monthly expenses (everything) and then multiply this amount by six to ensure you cover six months’ worth of expenses. Begin tucking money away. Use every method possible to build your emergency savings. Set-up automatic transfers for a specific amount to coincide weekly, bi-weekly, or monthly with your pay periods. Transfer excess earnings above your regular pay from bonuses or over-time. Deposit money earned from different money-earning activities. For example, playing in a band, cutting grass, and writing free-lance articles. Save the money reimbursed for medical expenses covered by your health care. Save the money reimbursed for employment-related expenses, for example, mileage. Deposit your tax refund in your emergency savings. You are striving to create security for your family and you. Once you catch the fever of savings, you will experience empowerment. Then regardless of the emergency, you will be prepared for it. As a financial planner, I totally understand where you're coming from. I read your site fairly often and I enjoy your posts. Don't Wait - Just Start!